Suldog: Have A Happy Holiday! Everybody knows there are no holidays in August, right? Here's a handy link to the article! Thanks for reading! 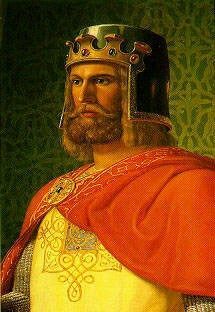 I'll see you sometime after my celebration of the coronation of King Otto I of Germany in 936, which took place on August 7. Suldog? Was in der Holle ist ein Suldog? See? All kinds of reasons to take days off! You forgot that today is National Root Beer Float Day! These are the holidays i like to point out, they give us a reason to celebrate every day of our lives. I celebrate National Retirement Forever, where you get to be too old to do do all those things you didn't have time to do when you were young enough to do them. Mimi - Believe me when I tell you - I was thinking of you while I wrote this! I've been meaning to look up a calendar that shows all of these special holidays. Thanks for reminding me!!! There's a reason to celebrate every day! Wait, June has Flag Day (June 14); that ought to count for something, even if they deliver the mail. . .
And isn't all of August known as the Dog Days? Or is that just for baseball fans? Is it a coincidence that no major league team has a dog-related name? Unless you count the Astros as a 'Jetsons' reference; but I don't think that was the original intent. . .
And I suppose 'Cubs' could refer to wolf cubs, but the logo on their uniforms is clearly a bear. . .